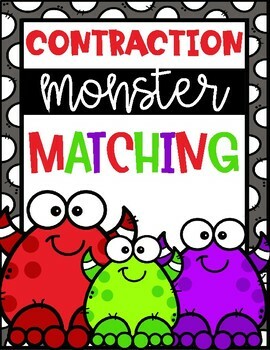 Tackle these (MONSTROUS) contractions by matching the contraction to the two words that are used to make it! 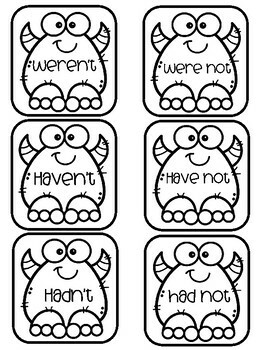 Use them all or use just a few. 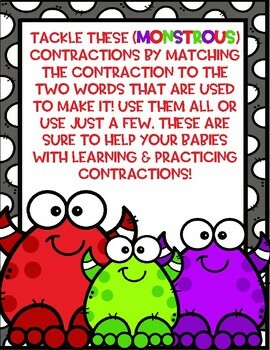 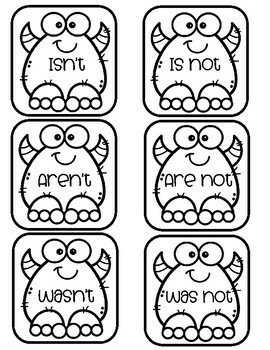 these are sure to help your babies with learning & practicing contractions!